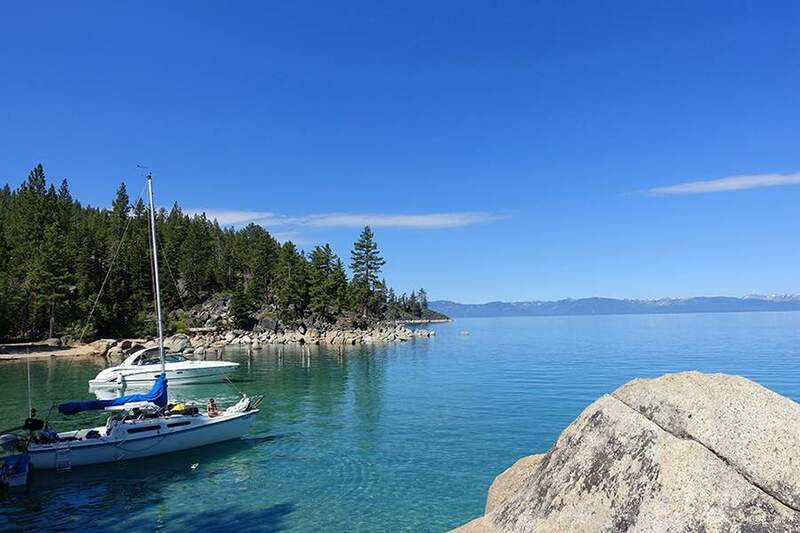 Skunk Harbor is one of North Lake Tahoe’s hidden beaches. 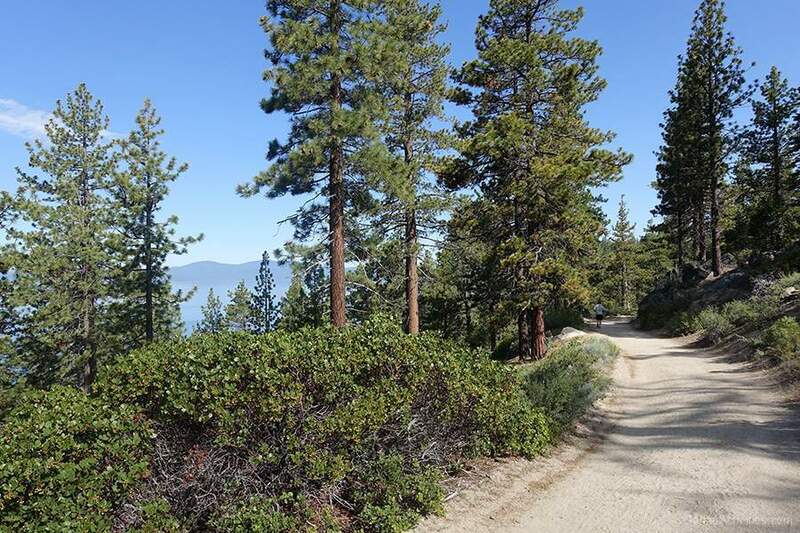 It can only be accessed by hiking or biking the 1.6-mile long trail. The “trail” is actually an old road with a lot of history. As you hike, see if you can spot the remains of an old railroad grade, which was built in the 1870s to supply timber to Virginia City. 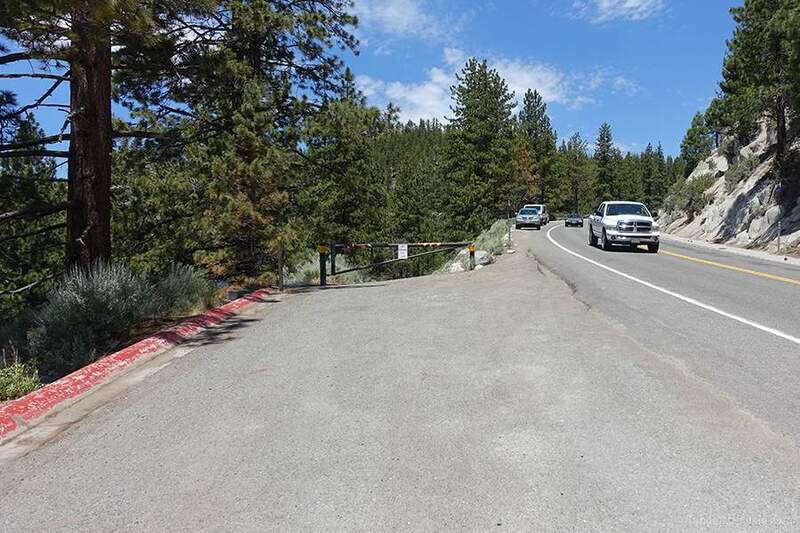 The road winds through a mixed conifer forest with wonderful Lake Tahoe views and eventually splits off in two directions. The left fork leads to Prey Meadows where you can picnic next to a creek among fragrant wildflowers. 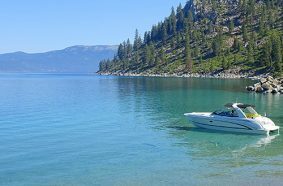 The right fork will take you to the picturesque cove and Skunk Harbor beach which tends to be less crowded, yet still stunning as you can see from the photos. 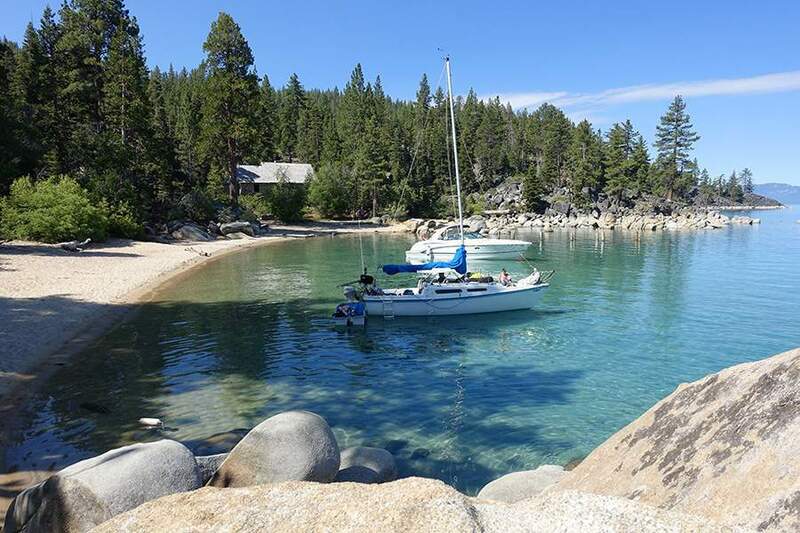 The cove is a favorite destination for sunbathers and swimmers in the summer. 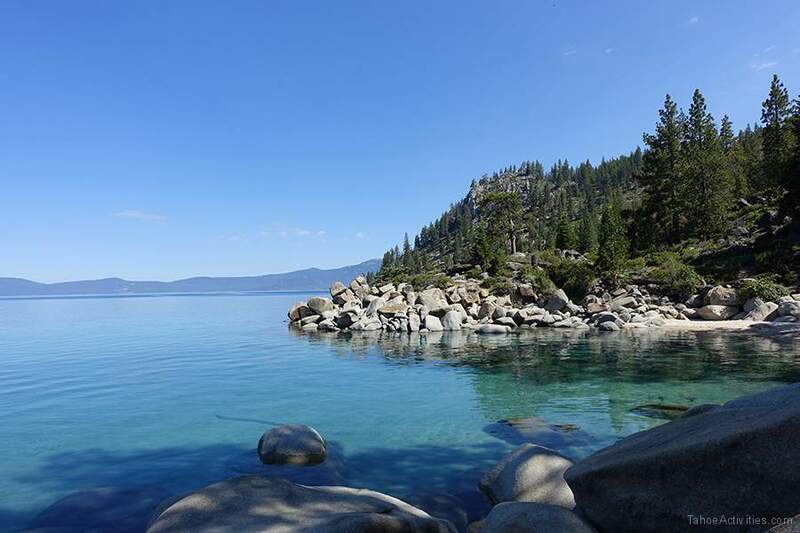 The cove even features a large gray stone building that was built in the 1920s by a prominent family from San Francisco who used it as a secluded picnic spot. The Skunk Harbor hiking trail is good for kids and dogs, and can even handle a beefy stroller. The trail down is fairly easy and quick, but sure to plan for the hike out since it can be a bit of a climb for the little ones. Good shoes recommended even though the decomposed granite trail is fairly smooth. The trail is open from March to November and dogs are allowed off the leash. 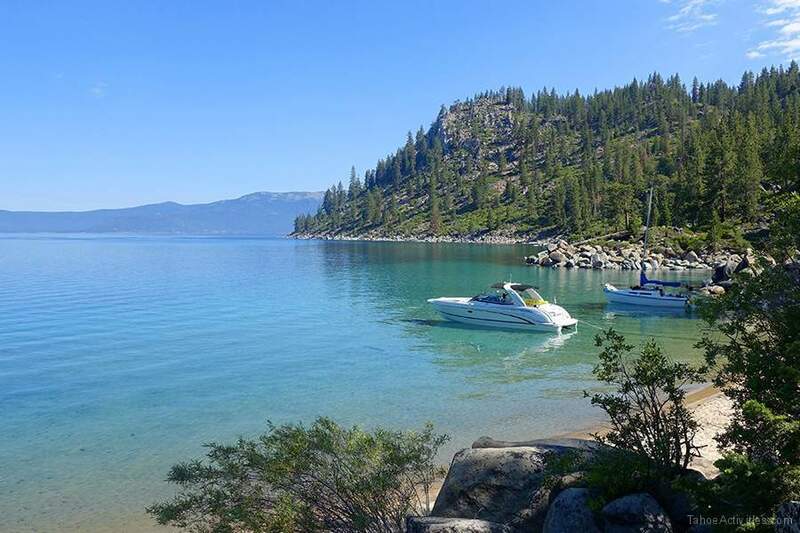 Skunk Harbor is located on Highway 28 about two miles north of Highway 50. Parking is limited to the turnouts along the road, and the trail head is marked by a green pipe gate on the west side of the highway. There is no parking fee, just make sure you don’t park in front of the gate or you might get fined. 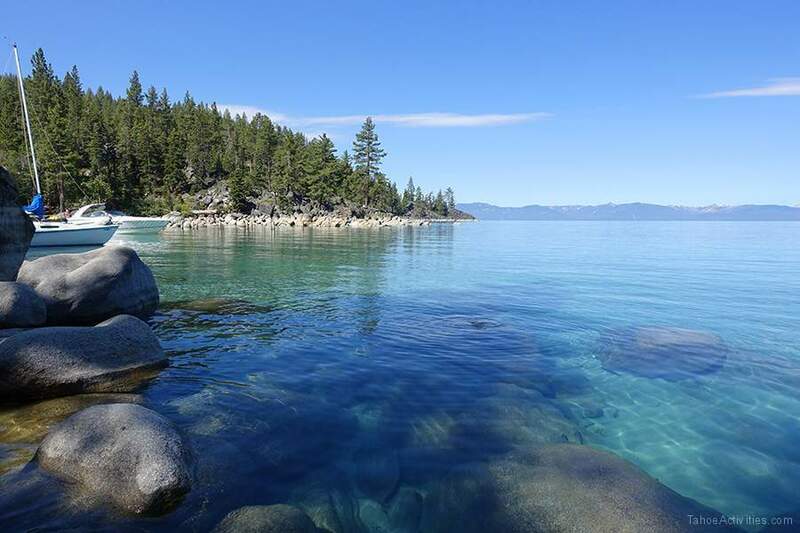 If you don’t mind a little hiking, this is definitely a must-see beach. 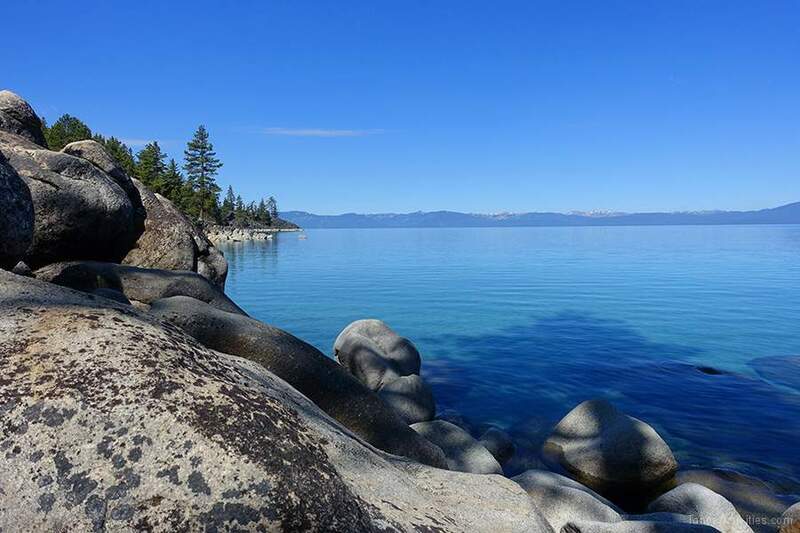 If you want other beach options nearby visit our Lake Tahoe beaches map.